The wave hammock was designed by Erik Nyberg and Gustav Strom and is manufactured using only the finest craftsmen and the most luxurious materials. wave is built using electro-polished stainless steel. it creates a unique floating impression by being pivoted on one single point at the base. The construction is strong enough to withstand the weight of people and weather conditions. The fabric is semi transparent, however it has the properties to block 86% of the sun’s rays. The wave was designed to allow the feeling of lying underneath a canopy of a tree, whilst being gently enveloped by natural space. it can gently swing if required or remain static for ultimate serenity. 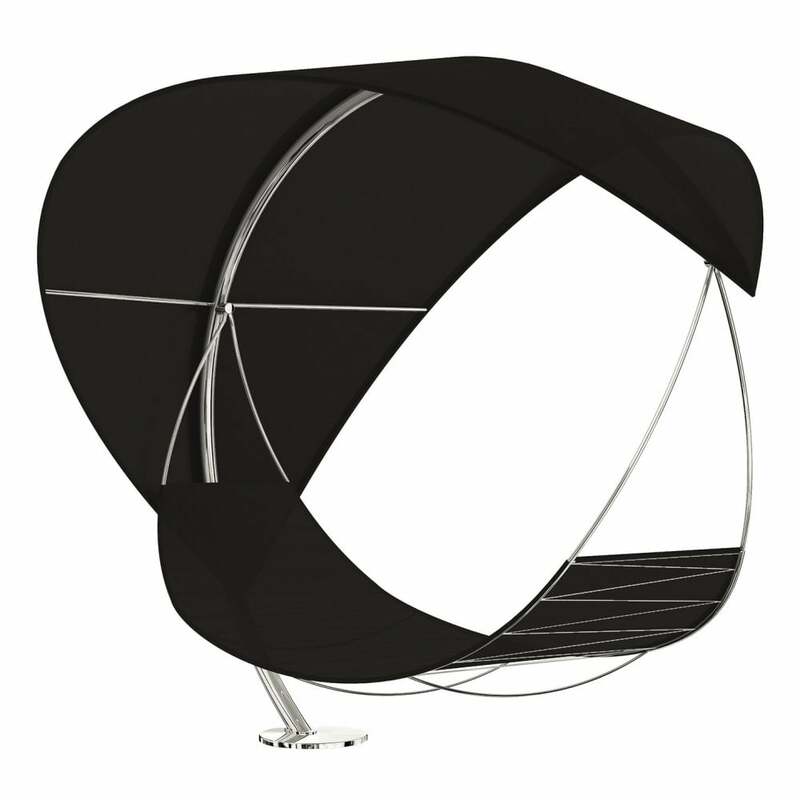 the canopy and seat sling are made from batyline. The seat has a removable cushion in foam/fabric. WAVE is available in white, cappuccino, black or turquoise with two base options allowing for integration in the terrace or embedment into the ground. It stands on a single point and it can rotate 90˚ around the base, giving it additional flexibility depending on the position of the sun. Base and cushion not included. storage bag and head rest included.